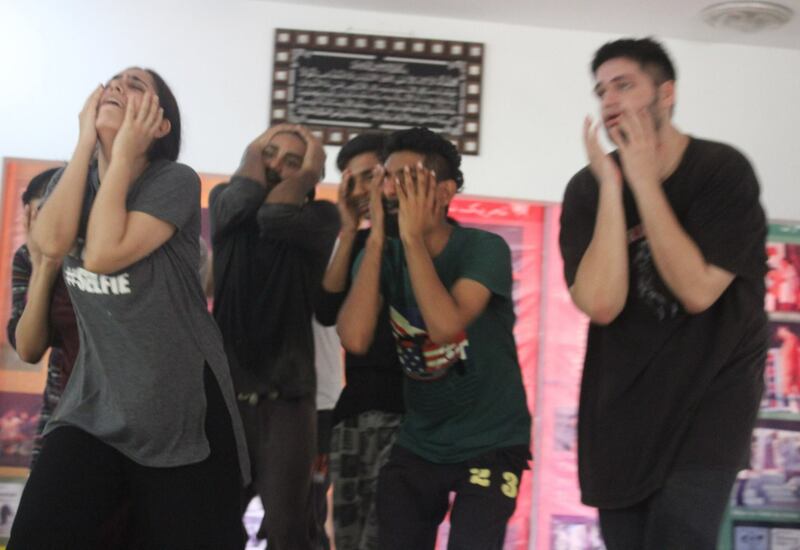 In 2017, Arts for Action provided physical theatre training for Tehrik-e-Niswan as part of their groundbreaking youth convention. 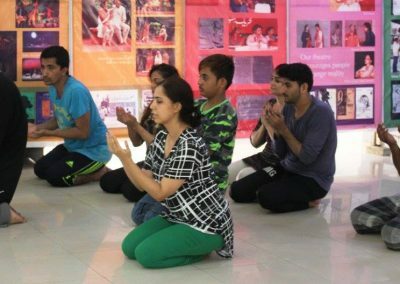 Tehrik-e-Niswan organised an 8 day cultural convention – a residential camp and the first of its kind in Pakistan – for 400 young people from Karachi: young people who represented a wide variety of cultural backgrounds. This gave many a life changing experience. 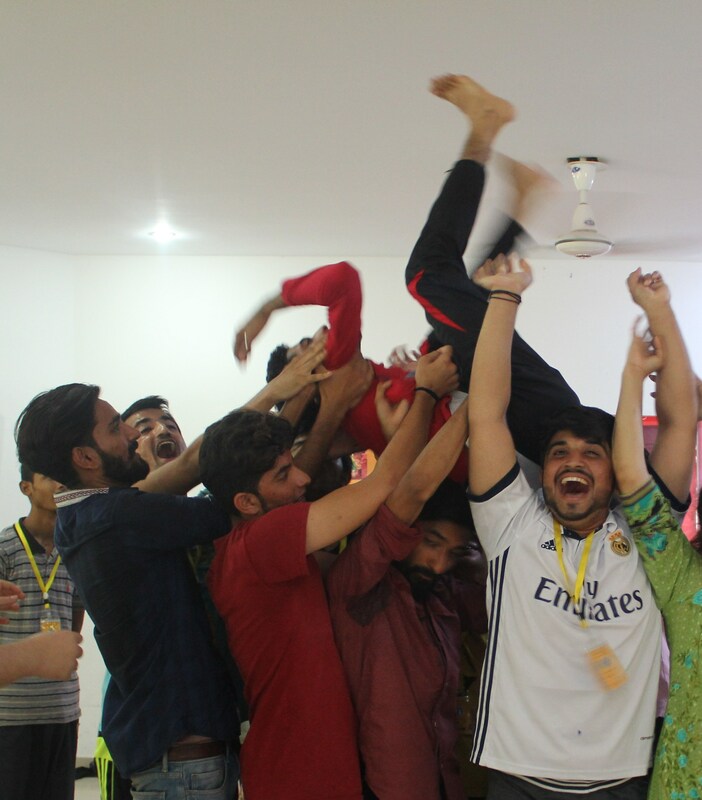 In many ways, this was a peace-camp that engaged young people in appreciating and negotiating reality through their cultural traditions and both folk and new forms of expression, conceived of by Tehrik-e-Niswan’s Programme Manager, Waheed Ali. The schedule completely immersed participants in cultural learning and experience. 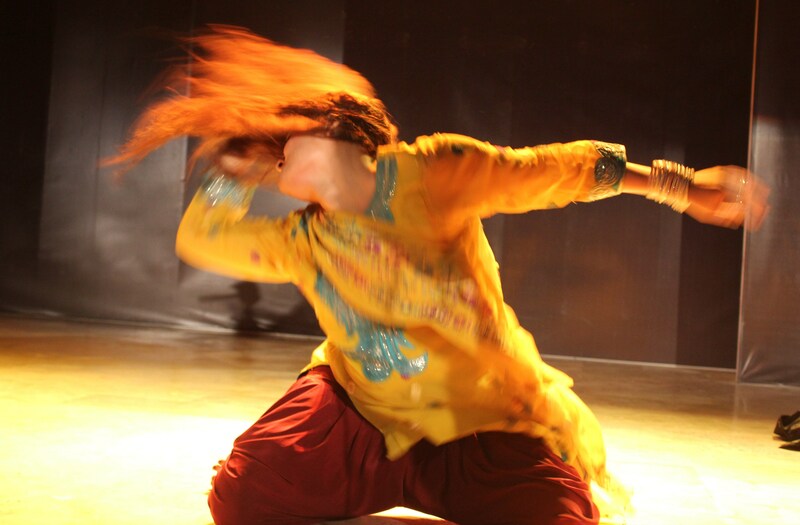 Each day began with 5am yoga; intensive workshops in different artforms followed; then lecture demonstrations and performances from some of Pakistan’s cultural greats occupied the curious and eager group until well into the end of each evening. Avid and deep discussion with experts, activists, artists on a range of issues: sexual health, origins of conflict, conflict resolution, the history of various folk and classical traditions and Karachi itself, provided people with a platform to learn, discuss and explore sensitive issues. 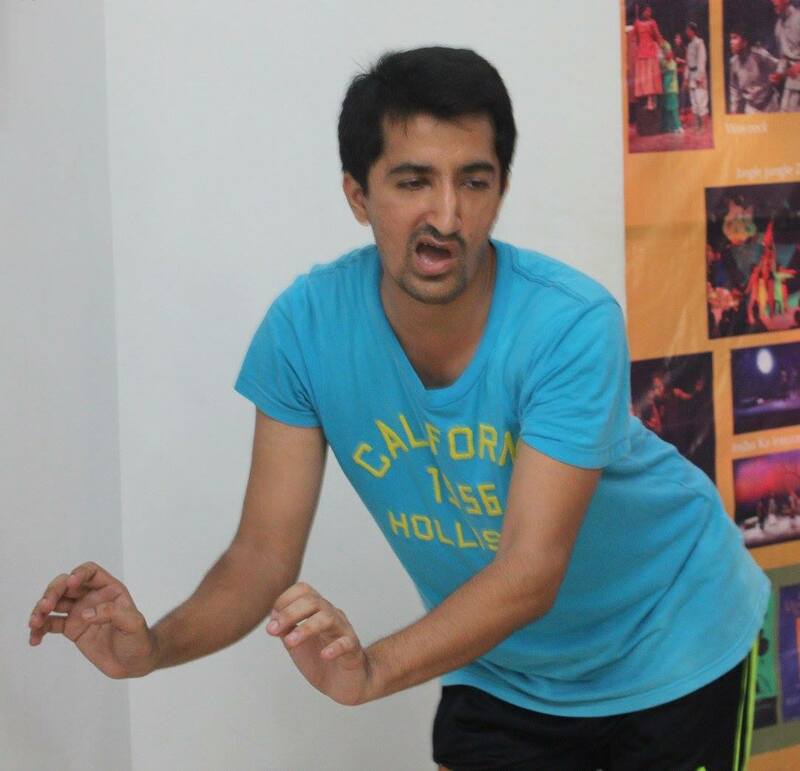 The week culminated in a night of performances by each group. Trainers built skills in young people and also provided mechanisms through which taboo subjects could be openly explored. The schedule completely immersed participants in cultural learning and experience. 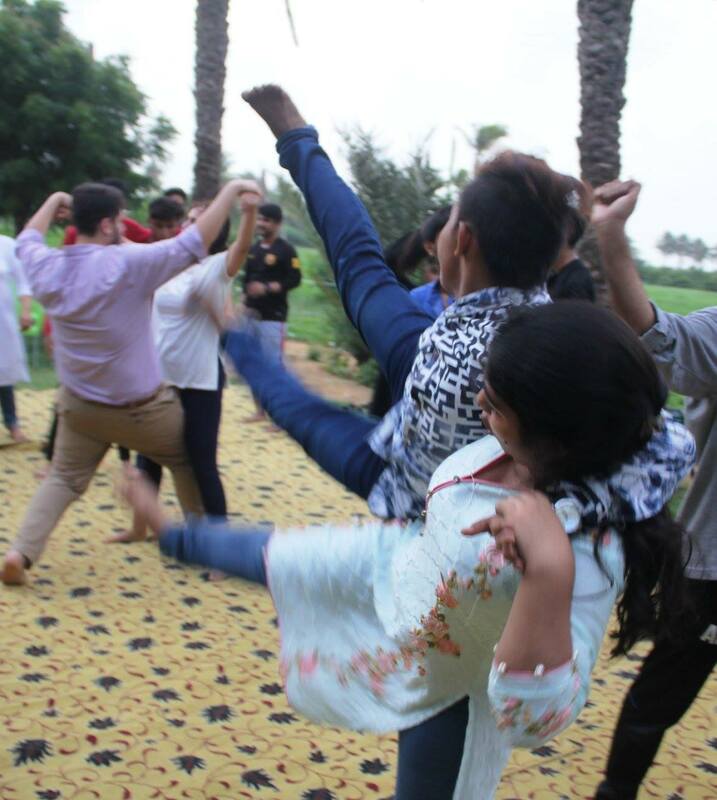 Each day began with 5am yoga; intensive workshops in different art forms followed; then lecture demonstrations and performances from some of Pakistan’s cultural greats occupied the curious and eager group until well into the end of each evening. Avid and deep discussion with experts, activists, artists on a range of issues: sexual health, origins of conflict, conflict resolution, the history of various folk and classical traditions and Karachi itself, provided people with a platform to learn, discuss and explore sensitive issues. The week culminated in a night of performances by each group. Trainers built skills in young people and also provided mechanisms through which taboo subjects could be openly explored. This was a fast and furious paced intensive – but we managed to create space to listen, breath and reflect. 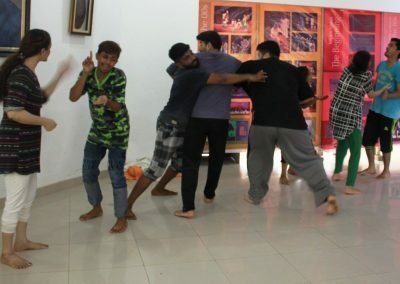 The group was taken through basic chorus and ensemble skills, the art of breathing together, filling movement with emotion, filling movement with intention, moving the space, creating 3 dimensional physical space, basic action and resonance work, moving as elements water, fire, earth and air – and that was just on the first day. 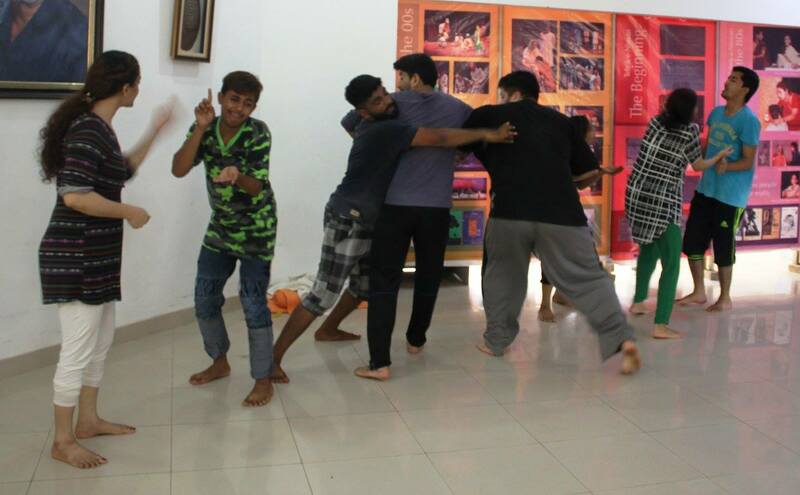 Through the rest of the week the group developed a sense of play, deepened their ability to listen – to their own impulses and to the ensembles, and developed devising skills. The group explored connection and isolation, desire and power, violence, control and surrender through contact work, body manipulation, weight bearing, lifting, flying, rolling, pushing, pulling and leaping – and as the bodies worked to create montages that reflected daily experience, awareness of the mind’s tendencies lit up amongst the group. As paired sequences created through all manner of improvised touch and contact sought to express something of the infinitely complex dream of knowing and understanding other beings – fully and completely, the changeable nature of relationships and indeed existence itself became front and centre in the group’s reflections – with some urgency in a couple of tense collaborations! Through the process, thinking about how we relate to each other and how we negotiate power was out of the censorship bag, and in full view to be discussed, chewed over and reflected upon. The week culminated in a large chorus piece that broke gender taboos and religious dictates and celebrated the joyful art of free expression. For some it was their first performance on stage, for others it was another chance to ‘truly live’ as one participant put it. The messages that came through on the final performances were of how to overcome struggles, differences, inequality, isolation and violence. On the last day many of the participants – especially girls – grabbed the microphone to express their love, appreciation for all they’d experienced, to show a powerful fervour and enthusiasm for collaborating with each other. Sheema Kermani was triumphant in her conviction that given free space to think, feel, act, create and express, young people in Pakistan are far from extremist in their beliefs. Sheema’s conviction was proved more than 100 times over: 400 plus times in each participant at this inspiring event. The potential for this to be a strong force for positive change, as well an intensive model for understanding democratic principles and civic participation in Pakistan – throughout the year – is very strong.